Are you a parent that wants to know who your children are talking to, where they are hanging out, and what they are saying on their BlackBerry device? Are you a business owner that needs to ensure your employees are not harassing co-workers, reveal confidential information, or wasting time on their phone? With a variety of monitoring and tracking services, you can see exactly what your children or employees are doing on their BlackBerry or saying through BlackBerry Messenger. BBM, short for BlackBerry Messenger, is an instant messaging app available for BlackBerry phones that allows users to message other BlackBerry smartphone owners. Due to the fact that it uses the internet to relay messages it is a free alternative to SMS (text messaging) that have to be paid for. With this messenger app, your children can talk to their friends and your employees can message their co-workers, or even your competitors, without relying on text messaging. Why Spy on BBM Messages? Parents who want to find out who their children are talking to. Parents who want to see the type of messages their children are sending to each other. Parents who want to monitor for cyber-bullying, stalking, or online abuse. Employers who want to see who their employees are talking to during company time. Companies that need to make sure employees are not sending sensitive information to competitors. Employers who need to gather proof that harassment is taking place in the work place. Companies that need to ensure their workers are not spending excess amounts of time chatting instead of performing job tasks. How Does Tracking Software Work for BBM Messages? View all BBM chat conversations and download records with time and date stamps for both sent and received messages. View the BBM Pin (identification number) of each BlackBerry device that your child or employee has contacted. Reveal full text in all message exchanges between BBM contacts. Export all of the logs as a .CSV file that can be kept on record. Every message and the complete log is uploaded to your control panel that can be accessed remotely from anywhere in the world allowing you to monitor conversations even if you are not in the same location. For these specific needs, it is important to pick a service that is not only compatible with BlackBerry, but also offers all the features required to log the BBM instant messenger and BBM Pin messages. Let’s have a look at which services rank best for these means. 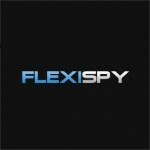 FlexiSpy offers everything BBM users would want to long. Also offering full visibility and access to BBM messages, this complete service ranks high in compatibility and feature richness. You can pretty much do everything other competitors don’t offer with Blackberry tracking. Expect very smooth performance from this long-time tracking software service. Learn additional information by visiting our review or visit them below. 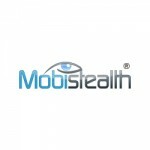 Mobistealth offers full Blackberry support including BBM message logs. This service provider has also been around for a long time and counts many satisfied customers. With advanced bugging options like remote surround recording with microphone, they remain a considerable choice next to the other top providers. Get all the info on our review or simply visit them by clicking below. Unlike the other two services mentioned, Mobistealth is 100% hidden after the initial install. 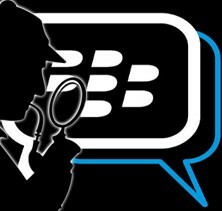 What are the benefits to using spy apps like FlexiSpy and Mobistealth for BBM? Keep tabs on the phone even if it does not use SMS: There are spy apps that allow you to view SMS messages but many employers and children realize this. As a result they use BBM to secretly message without getting caught. Find out who is being talked to: Knowing if your employees are sending messages to competitors is extremely important, especially with sensitive company information. As a parent knowing exactly who your child is talking with on BBM could save them from getting in serious trouble. Monitor the messages being sent: Afraid an employee is harassing someone in the office? Afraid your employees might be criticizing their boss or the company? Is your child being bullied or using profanity in their messages? With this tracking software you can find out exactly what is being said. Keep productivity levels high: As an employer, making sure that the people working in your office are actually doing their job is extremely important. With spy apps you can monitor how often your employees spend chatting instead of working. Safeguard your children: Protecting your children from predators that use BBM to prey on kids is extremely important. Installed on your child’s phone, the BBM monitoring app will allow you to see exactly who has contact your child even if your children are too afraid to speak up. If you need to spy on your children or employees without them noticing, some of these tracking services are exactly what you need, but keep in mind the moral dilemma you face by not advising your child that the cell phone is being monitored. You can collect contact BBM Pins, view messages sent and received, download CSV backups of all of the information collected, and access all of the records remotely. This software is completely undetectable so you never run the risk of being detected if the device falls in the wrong hands or gets stolen. They also feature anti-theft, remote phone wiping and various other powerful tools worth considering.